I don't have a good fence to post today. 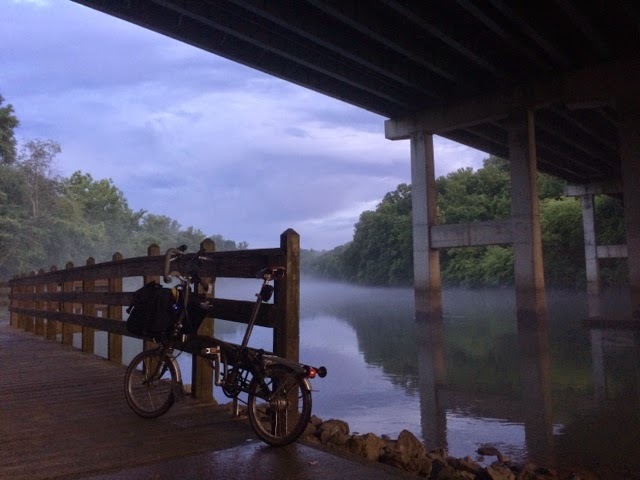 I was intrigued by the river and the fog on my commute back home on Tuesday evening. Can I get away with the railing along the Chattahoochee? This will be my Good Fences 3.0.